I know, I know. Every fashion blogger in this country has been talking about the Nordstrom Anniversary sale. Ya know the sale that starts early for card holders and usually sells out by the time it's available for non-card members. I promised myself that I would only talk about this sale on my blog once because let's face it...everyone's talking about it and I'm sure you're getting a little sick of seeing it everywhere cause I know I am! Haha. 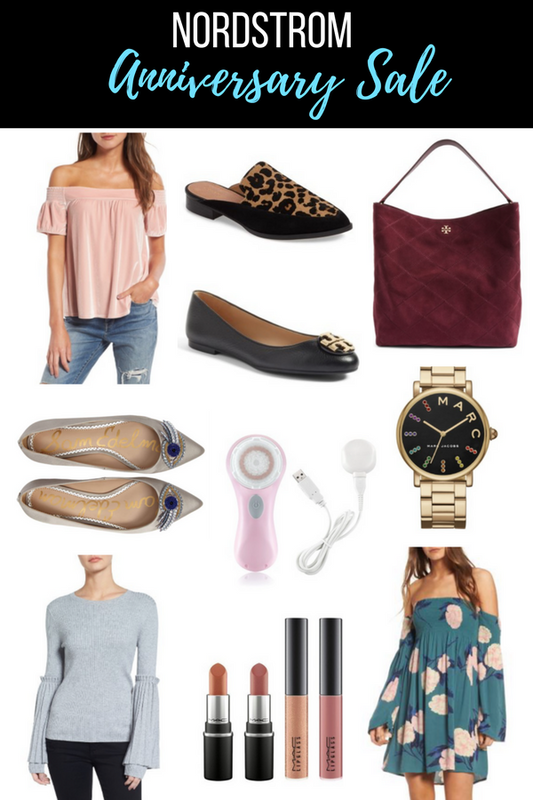 To tell ya the truth, I'm not too crazy about the clothes this year (although a bell sleeve top or a girly dress is always a necessary addition to my closet) and actually prefer the accessories and beauty items such as the Clarisonic Mia 2 which is under $90 or the Mac lipstick and gloss set. Oh and did I mention those gorgeous Sam Edelman evil eye flats? Such a unique piece!